Amazon EU Sarl, the American online retail giant’s European trading company, has been paying too little tax for several years, says a new report (provisional decision) published by the Competition Commission in Brussels, part of the European Commission. After securing a private tax ruling from the Grand Duchy of Luxembourg (Luxembourg) in 2004, the company built a trading hub there. According to latest accounts, Amazon EU Sarl posted sales of €13.6 billion ($15.76 billion) in 2013, which accounted for about one-fifth of the company’s global sales. Despite achieving fantastic sales, the company posted relatively low profits, which meant its tax bills were tiny. This was because Amazon EU Sarl was paying too much in royalty fees to Amazon Europe Holding Technologies SCS (AEHT), another Amazon entity. In other words, Amazon in Europe paid very little tax because one of its companies was charging another of its companies high royalty fees. It was a “cosmetic arrangement” between Amazon and Luxembourg to avoid paying tax, an arrangement that amounted to state aid, the Commission believes. From 2007 to 2013, AEHT made profits of €1.93 billion. It had received €3.31 from other Amazon companies during that seven-year period. By the end of 2013, Amazon EU Sarl still owed €2.1 billion to AEHT. AEHT is a no-tax Luxembourg resident. It grants licensing rights for use of Amazon technologies, such as its websites. A 2003 Luxembourg tax ruling gave AEHT the green light to set up a royalty-fee charging system with Amazon EU Sarl. European Commission competition investigators are challenging this ruling. They said the terms were far too generous and amounted to illegal state aid. They also pointed out that it took Luxembourg authorities just 13 days to consider Amazon’s request for special status. The investigators said the online retailer had effectively set up a cap of 0.55% of turnover on the amount Amazon EU Sarl earned. This “effective override” replaced any legitimate method for calculating the real value of royalties. The Commission went on to say it has so far seen no indication that the contested measure may be considered compatible with the internal market. Both Amazon and Luxembourg authorities say they have done nothing illegal. Amazon insists it never received any preferential tax treatment from Luxembourg, and that in Europe it has been subject to the same laws as competing companies. AEHT is not under scrutiny just from European tax authorities. US authorities have been claiming in the courts for years that not enough tax has been paid. The Commission is also probing deals between Apple and Irish authorities, and Starbucks and the Dutch government. 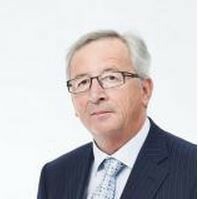 And what about Jean-Claude Juncker, current European Commission President? In December 2014, Bob Comfort, former head of tax for Amazon, claimed current European Commission President, Jean-Claude Juncker, who was Luxembourg’s Prime Minister from 1995 to 2013, courted Amazon, treated the retail giant as a “business partner” and helped solve its problems. Mr. Comfort recalled meetings with top civil servants and Mr. Juncker, who at the time (2003) was serving as both Prime Minister and Finance Minister. “His message was simply: ‘If you encounter problems which you don’t seem to be able to resolve, please come back and tell me. I’ll try to help,’” he added. Update October 10, 2015: In Lima, Peru, the finance ministers of the 20 major economies endorsed an OECD proposal aimed at preventing widespread tax avoidance by multinational corporations.